United Photovoltaics has started to emerge as the top solar farm company in China, aggressively buying up solar farms in the country. The company which was known as Goldpoly earlier has shifted its focus from solar panel manufacturing to becoming a large solar utility company. The company has gone on a buying spree locking up gigawatts of solar farms in the country. State-owned China Merchants New Energy Group has bought a large stake in the company giving a boost to the company. The solar farm business is a capital intensive one and China Merchants group has deep pockets which can support the large capex requirements of the company. United Photovoltaics has got more than 2 GW of solar farms already under its control and recently signed a deal with the world’s biggest solar panel shipper Yingli to buy 300 MW of solar farms in the next couple of years. 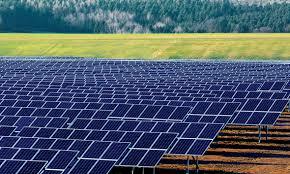 Solar farms is a great business with average returns of 15% in China. The cash flows are relatively stable and if you have a large backer then it becomes a lucrative business with leverage. China is a great place for solar farmers, given that the company is installing more than 10 GW of solar farms each year. It needs lots of capital investment and expertise in managing farms. Western companies are more or less shut out of the country, given the complex requirements and tough competition. The BIG Chinese state owned utilities are already the world’s largest solar developers having bought/ built thousands of megawatts of solar farms. United Photovoltaics is listed on the HK exchange and might offer a good green investment for people looking to buy into the solar story. According to the agreement, United PV will acquire at least 300MW of large-scale solar energy systems, which is eligible for certain criterions, from Yingli China from 2014-2016. The plants are located mainly in Hebei, Guangxi, Shanxi, Shandong, and other provinces. Yingli China’s wholly-owned project companies will have 100% equity in the power plants, and are responsible for their development, construction, and operation. United PV will acquire the project companies from Yingli China after the grid-connection and inspection to meet certain criterions addressed in the agreement, said Yingli.